ViNtrol Flanged Check valves feature Shaft Style full open Swing Check design with bubble tight sealing. They are available in sizes 2” thru 16” and API 6D pressure classes 150 to 1500. Also available in 2” thru 4” API 6A 2000, 3000, and 5000 psi. 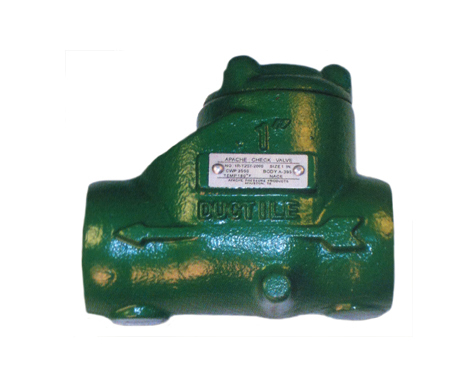 ViNtrol’s rugged threaded end ductile iron valves are available in sizes 1” to 3” and pressures up to 2000 WOG. Trough style design eliminates leak path and provides for quick repair.